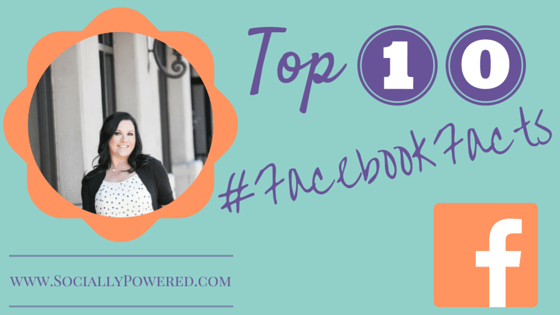 This week we will be giving you the Top 10: Facebook Tips & Tricks!? ?Like it or not, Facebook is here to stay. Facebook has billions of daily users and new features being released all the time, the social media giant?has retained its status as king (or queen) of the social media platforms. Whether your business is new to Facebook marketing or simply looking to get more out of the social platform, here is a top 10 breakdown of concepts for Facebook marketing in 2016. Live video marketing is the direction social media is striving for right now. Facebook understood this and began rolling out Facebook Live back in August 2015. To stay on top of this trend, start testing out the new service and brainstorming ways it can be incorporated into your current social media strategy. Facebook also introduced a purchase button feature for their ads last year. This allows users to purchase a product or service with a single click, without the annoyance of leaving their Facebook feeds. When creating new launches or ad campaigns, keep in mind how to make a purchase on Facebook quick and easy and what items would work best for this feature. The social media platforms are well aware of the content management trend and its importance to businesses. Facebook?s Instant Articles is just another way the platform is looking to dominate by giving reader?s an interactive experience for browsing and reading articles within their newsfeed. In an effort to populate the feature, Facebook has made it easy for a business to publish their articles. If you haven?t checked it out and added content yet ? it?s time to put that on the to do list. As the platform continues to grow in use and popularity, feed filtering problems are still a big concern. A 2014 study by Edgerank Checker demonstrated organic reach fell from 16% to 6.51% over the course of two years. There are other theories behind the fall of organic post reach, including lack of variety in posts, avoidance of videos & not using analytics to build strategic content. However, if you?re a company that hasn?t considered?using Facebook Ads to boost content yet ? it may be time to consider doing so. Not ready to take the ads plunge yet? Then focus on making your content and posts more?diverse instead. Facebook has turned towards creating more apps to attract and retain the mobile user. From regular improvements to Messenger to M (the new digital assistant feature), the social platform understands that people are scanning their feeds on the go now more than ever. Read more here about M. As the social giant continues to cater to the mobile trend, be thinking about how mobile users are affected by what you post or offer on Facebook. Facebook?s goal is to keep users on?the platform as long as possible by offering more reasons for them to linger. As with any marketing effort, it?s important to use Facebook?s Insights feature to get an understanding of your audience, your peak times, and what content delivers the most returns. Just curating and scheduling content without examining results is a productivity and efficiency fail. Companies are starting to catch on to the wealth of potential available when their employees and team members begin organically sharing content. What better advocates for your brand than your own staff? This means taking them into consideration. You can?t force your team to share your content but you can design content they will WANT to share in a manner which?makes it easy for them to do so. This isn?t a trend so much as a hard and fast rule. Doing too much self promotion will just make you appear spammy (Remember: Nobody likes being spammed!). While it is important to use Facebook to promote your new products or services, it is equally important to keep the focus of the social media platform on being social. 80% of the content posted should be of interest to the audience and only 20% should be promotional in nature. As with every other touch point in your business, Facebook is a way to interact directly with your audience. It allows the audience to engage with you in return. If the posts are not consistent with the look, feel and tone of your brand ? you are doing the marketing a huge disservice. If readers aren?t feeling a connection to you and what you do, then your branding & marketing needs a facelift. Always be conscious of what your brand says to followers. 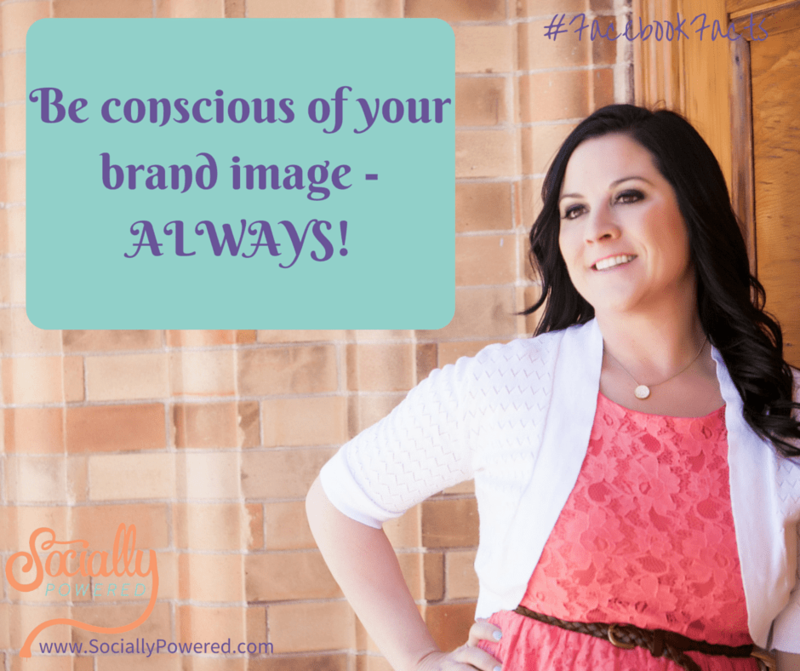 Be authentic and stay on brand – ALWAYS! Social media promotion is no different than website or landing page promotion. A clear, concise and simple call to action is more likely to generate results. As you sit down to plot out your social media strategy for the year, keep these 10 Facebook tips and tricks in mind to really get the most out of the social media giant. As always, we welcome your feedback. Do you have other tips & tricks to get the most out of Facebook? Please share! We love sharing! Do you? Erin Cell, is the Founder & CEO of Socially Powered, LLC. I have been helping business owners ?Power Up? their online presence since 2012. Socially Powered understands every business is unique & has different social media needs. We work together as a team to create & establish a social media strategy that works for your business.